Over the past few months, we’ve continued to hear about the mounting crisis in student loan debt, which has recently surpassed the $1 trillion level and is now reportedly higher than revolving credit card debt. 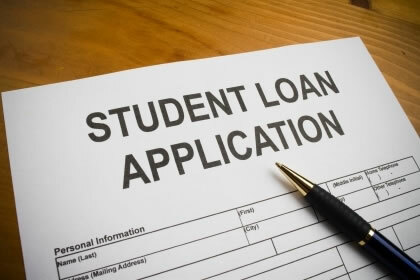 Moreover, since student loans are extremely hard to discharge via regular bankruptcy proceedings, there is a fear that the financial albatross hanging over graduates’ heads – currently averaging just over $29,000 for 37 million people – is forcing many of today’s milliennials to indefinitely postpone traditional milestones such as getting married, having children and buying their own homes. 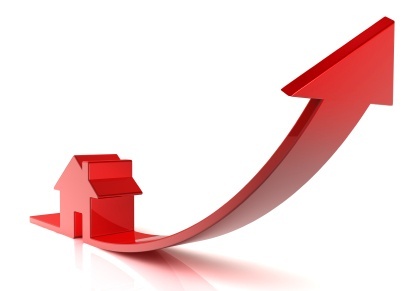 This issue is definitely a cause for concern, but just what is the real impact of this issue on home buying demand? According to a recent analysis of government data by the NAHB, the rise in student loan debt is actually a function of lower home values: with U.S. household wealth falling by 40% between 2007 and 2010, students who were formerly able to rely on their parents’ home equity lines instead took on a patchwork of student loans from both the federal government and private lenders such as SallieMae (the former GSE fully privatized in 2004), Citibank or JPMorganChase. In fact, the NAHB strongly supports higher education – even when supported by debt – because college degrees generally confer higher wages, which in turn is good for housing. If anything, the trade group concludes that since a full-fledged economic recovery must include housing, support in the form of the mortgage interest deduction, affordable down payments, reforming appraisal practices and a federal backstop for issuing mortgages is essential. In turn, higher housing values could then re-open the spigot of home equity lines that helped fund higher education in the past. Indeed, the tipping point for indebted students may have already peaked, especially as the Obama Administration has tackled the issue head-on in an election year (not surprising considering the President enjoys strong support among younger voters). In early June, the White House announced changes to the four-year-old Income-Based Repayment Plan (IBR). 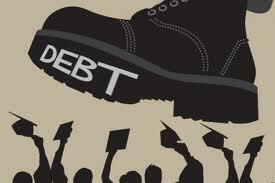 Starting in 2014, the plan for new borrowers will allow them to pay back their federal student loans at a rate lower than ten percent of their income, versus the current rate of 15 percent. Loans could be forgiven after 20 years of steady payments (and as low at 10 years for those choosing a career in public service) versus the 25-year limit currently in use. Perhaps more importantly, since just over 2% of eligible borrowers are registered with the program, a new streamlined application will go online in September, allowing applicants to automatically transfer over IRS income data. A year from now, schools will also be responsible for providing borrowers with information on repayment plans prior to graduation so they can opt for a plan that is appropriate for their income. 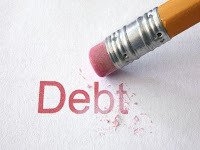 For those taking out private student loans, however, the future looks a bit murkier, both because interest rates are usually variable, and the 2005 Bankruptcy Reform Bill added this category alongside child support payments and criminal fines to the “cannot discharge in bankruptcy” list. To address the student loan issue, Congressman Hansen Clarke (D-Mich) recently introduced the Student Loan Forgiveness Act of 2012, which would cap interest rates at 3.4%, halve the time for forgiveness from 20 to 10 years (5 years for those in public service) and allow borrowers with debt levels higher than their annual income to consolidate existing federal and private loans into a single Direct Loan that would then be eligible for the plan. In addition, Sen. Al Franken (D-Minn.) also introduced the True Cost of College Act, which would create a sort of Truth in Lending form for student loans. Who knows – maybe with such relief, not only will an entire generation have more funds to help bolster the economy, but be able to buy their first home five or ten years sooner than with the existing system in place. Please click here to see the edition of BuilderBytes for 6/27/12 on the Web. Please click here to see the edition of BuilderBytes for 6/25/12 on the Web. Please click here to see the edition of BuilderBytes for 6/15/12 on the Web. Please click here to see the edition of BuilderBytes for 6/13/12 on the Web. Please click here to see the edition of BuilderBytes for 6/11/12 on the Web. Please click here to see the edition of BuilderBytes for 6/1/12 on the Web.